Activists are getting at least some members of Congress to listen to the real stories of poverty and injustice in America. 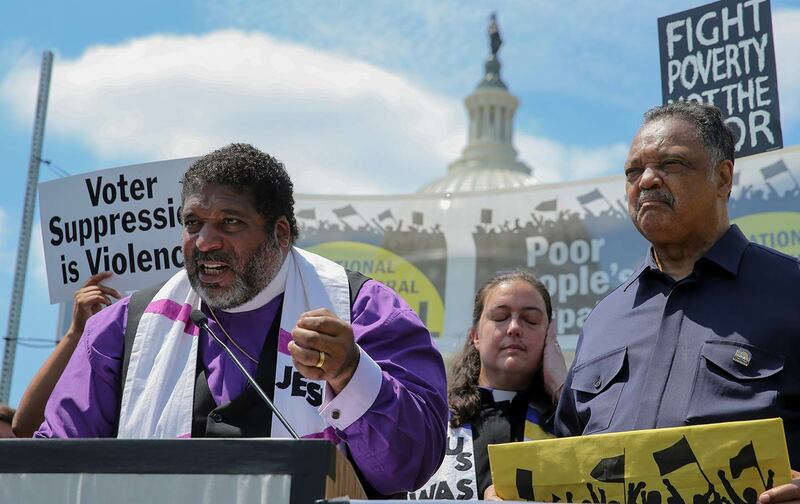 The Poor People’s Campaign has come to Washington to challenge members of Congress to address systemic racism, poverty, and inequality, ecological devastation and militarism. For this to happen, however, the economic- and social-justice campaigners from across the country must be heard. And there are too many powerful people in Congress, in the Trump White House, and on the federal bench, who are disinclined toward listening. When a small group of senators and members of the House did gather Tuesday to hear from religious leaders and others who have proposed to replace official injustice and inaction with “a moral agenda based on fundamental rights,” the Rev. Dr. William J. Barber II began by thanking those who who were prepared to listen. What the listening members of Congress heard at Tuesday’s remarkable hearing was a poignant detailing of concerns from the grassroots of American struggle—concerns about economic inequality, voter suppression, assaults on labor rights and other issues that should be central to the national discourse. A mother of two from rural Lowndes County, Alabama, Pamela Sue Rush, broke down in tears as she described the overwhelming burden created for those who try to get by with low wages only to be targeted by predatory lenders. This is the real-life experience of Americans that the Poor People’s Campaign has brought to Washington—and to those members of Congress who are paying attention. “By listening to us today you are now bearing witness to our movement and we hope you will see that poverty is not a constant, it is not a necessity. Poverty is a political creation that can be eradicated if we have the will to do so,” the Reverend Dr. Liz Theoharis, another co-chair of the campaign, explained to the committee, in a letter read to the members because Reverend Theoharis and several other religious leaders had been jailed for praying on the steps of the US Supreme Court on the day the justices issued a ruling that permits voter purges. Congressman Khanna was prepared to do just that on Thursday, when he and Congressman Jamie Raskin of Maryland, Congresswoman Pramila Jayapal of Washington and other House members signaled that they would use their special order time on the House floor to read into the record written testimonies from Poor People’s Campaign participants about their experiences with poverty, racism, and a health-care system that too frequently fails those who are most in need of care. With help from the Institute for Policy Studies and other DC allies, the Poor People’s Campaign will keep working to get Congress to hear these voices and to address these issues. It will not be easy. This Congress is controlled by partisans who are disinclined to listen to serious discussions about racism, poverty, and injustice. But the Poor People’s Campaign has set out to open up those discussions in communities across the country, in the media and, yes, in the corridors of power. 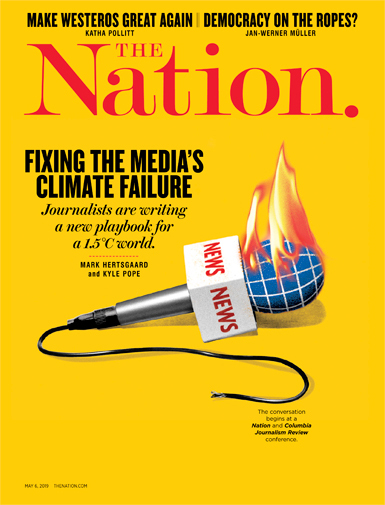 The point, says Reverend Barber, is “to change the nation’s moral narrative”—because once the moral narrative changes, it becomes possible to move beyond mere politics and to begin the work of establishing justice for all.